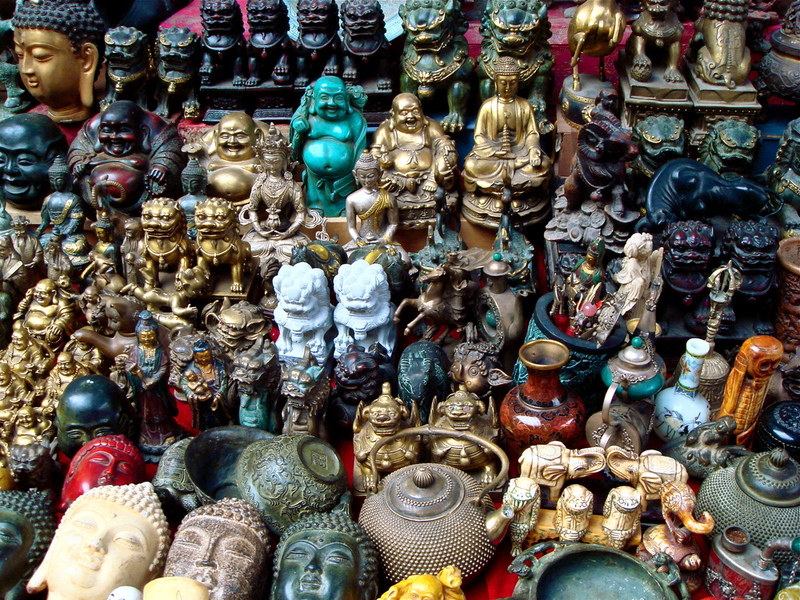 In many countries, items sold by street vendors, in markets, or in small shops do not have set prices and customers are expected to bargain for their purchases. Aggressive bartering can seem intimidating or even pointless to travelers, especially when what you are negotiating is often the equivalent of pennies in your native currency. Regardless, this cultural interaction is one that is unavoidable, and if you do it right, can be a lot of fun and will earn you respect from the locals. The first step to becoming an expert haggler is to arrive at the market prepared. Have an idea of what things are worth in the country that you are visiting (guide books can help you out with this) and create a cheat sheet with numbers written out in the local language so that you can understand what is being said to you. I also recommend carrying a notepad and pen with you so that if the language barrier is too much, you can write your offers down to show the vendors — numbers are a universal language! Before you even set foot near a market, it is very important to have a set budget in mind. Once you get the hang of it, bartering can be quite a high, and it is easy to get caught up in the chaos and spend more than you intended to — usually on things that you don’t need or don’t have room to carry home (trust me, I've been there). Walk around and check out as many vendors as you can in order to get an idea of what you want and what sort of prices things start at. Items will not be tagged so you will have to ask for the price, but do not start bargaining unless you are serious about buying right then and there. When you are ready to make a purchase, always let the vendor make the first offer and expect it to be anywhere from double to ten times the price that you should end up paying for it. At this point you can ask if that is really the ‘best price’, which will usually result in a significant drop from the original. Now, it is your turn to make an offer. Never start with the price that you actually want to pay but give one significantly lower, this is not an insult; it is all part of the game. Expect whatever offer you make to result in an overly exaggerated reaction from the vendor who will act like you have literally ripped food out of his children’s hands. Wait for the fake crying to stop, and you will get a counter offer. Negotiations will continue like this until a price is agreed upon. Bartering can be a lot of fun, and to keep it that way, ensure that you stay relaxed, friendly, smile a lot and joke around with the vendor. If they like you and you show that you are playing the game, there is a better change of getting the end price that you want. If you find your negotiations are at a standstill, don’t be afraid to walk away. This will often lead to the vendor chasing after you agreeing to your price, but if it doesn’t, hold strong and keep on going. The item you want will probably be around the corner at another stall anyway, and you can always try again.